On June 1 1985, Warner Bros. and Sire Records took out a centerfold ad in Billboard magazine to celebrate the resounding success of Madonna’s first concert trek, The Virgin Tour. “You were wonderful! We’re proud of you. Congratulations on your first tour. On July 23 1985, Into The Groove was released as a single in the UK. Not wanting to draw more attention away from the Like A Virgin album following the release of the soundtrack hit Crazy For You, Sire/Warner notoriously relegated Into The Groove to the b-side of the Angel 12″ single in North America & Australia, although they eventually ceded to issuing it as an A-side in most other international territories. Into The Groove was written & produced by Madonna & Stephen Bray and was their first released co-production to not be reworked by an outside producer (the pair had already been producing their own demos for years). The original demo version was used over the closing credits of Desperately Seeking Susan (seemingly dubbed from an actual cassette copy of the demo–granted, DAT’s were still a few years away), and although the commercially released mix featured a slightly beefed-up and more polished-sounding musical backing track, it kept Madonna’s original demo vocals intact. 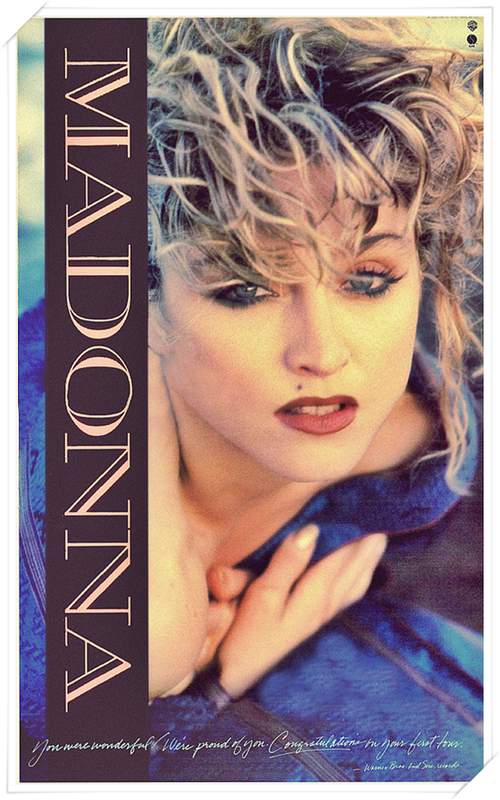 In the UK, and throughout most of Europe, the single was backed by the Madonna-penned ballad Shoo-Bee-Doo, while the original album version of Everybody (another song credited to her alone) rounded out the 12″ single…it would be fair to assume that Madonna likely earned some of the biggest single-generated songwriting royalty cheques of her career thus far with this release. It’s interesting to note that despite being one of Madonna’s most enduring dance floor classics, no remixes were produced for Into The Groove at the time of its release. It wasn’t until 1987’s You Can Dance remix compilation that the song finally received an official extended remix treatment. On June 15 1985, Madonna’s Angel peaked at #5 on the Canadian Top 100 Singles chart (RPM). Madonna never made an Angel video, so there are no candy-colored MTV memories to taint this underrated single, which she co-wrote with ex-boyfriend Steve Bray. It plays like a straightforward dance-pop love song, but when this lapsed Catholic starts singing about angels, you know there’s some religious subtext. The laughter up front and midway through is a reminder that Madonna is no wretch incapable of saving herself. When heaven sends her an angel, it’s game respecting game.